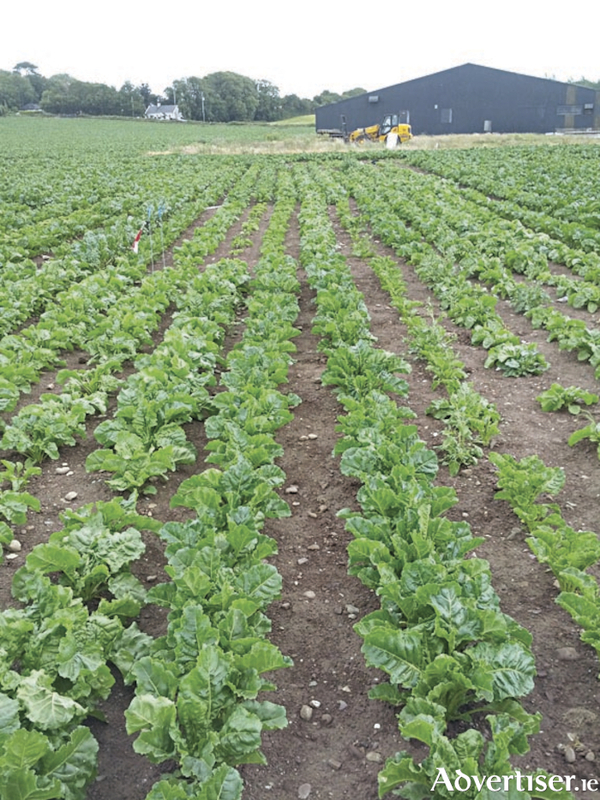 Plant biotechnologists from the Ryan Institute at NUI Galway have identified genetic breeding strategies to develop bigger and better sugar beet. Sustainable intensification of agriculture to meet rapidly growing global demand for food and non-food products produced by crops will require higher yielding crop varieties that can produce more food using less resources and land area. For crops such as sugar beet, this means the development of varieties that produce more per hectare, while reducing inputs. The findings from their research has been published in the international journal, BMC Plant Biology. Sustainable intensification of sugar beet supply will require the production of more sugar beet using less resources and land, which requires high yielding sugar beet varieties that require minimal inputs. Professor Charles Spillane’s Genetics and Biotechnology Lab at NUI Galway has been working closely with the international plant breeding company KWS SAAT to develop genetic breeding strategies to produce hybrid sugar beet varieties with higher yield that can maintain high levels of sugar production. Using a combination of molecular genetics laboratory work and large-scale sugar beet experimental field trials conducted in Cork, the research team discovered that the most efficient way to develop higher yielding sugar beet varieties was by tapping the benefits of hybrid vigour*, a topic of focus for the team. The white and brown sugar that the vast majority of food consumers in Ireland include as a sweetener in their daily diet is a naturally occurring biochemical called sucrose. The world’s supply of 185 million tonnes of sugar each year comes from only two crops, sugar cane and sugar beet. Sugar beet was once widely cultivated in Ireland, with the first sugar beet factory built in Mountmellick, Co Laois in 1851. Changes to the European Union subsidy programme in the early 2000s changed profit margins for the Irish sugar beet industry, leading to the closure of Ireland’s last sugar beet factory in 2006. Without sugar-processing factories, large-scale sugar beet farming effectively ended in Ireland. However, the possibility of resurrecting Ireland’s sugar industry has been boosted by the abolition of EU sugar quotas in 2017, with producer groups such as Beet Ireland seeking to re-establish sugar beet as a sustainable and eco-friendly crop in Ireland that is compatible with the Common Agricultural Policy “greening” measures. This has resulted in the sugar beet industry experiencing a resurgence across Europe, with new sugar beet processing factories under development in the UK and across continental Europe. Professor Charles Spillane, Director of the Ryan Institute at NUI Galway, said: “We need to consider sugars not only as ingredients for sweetening of foods, but also as the molecules upon which a more sustainable sugar-based bioeconomy can be developed that produces multiple bio-based products from sugars. Bioproducts or bio-based products are materials, chemicals and energy derived from renewable biological resources. Sugar beet processing factories are now designed as sugar beet ‘biorefineries’ where sugar is but one of the many bioproducts generated, along with many non-food products such as specialty high-value chemicals, bio-based materials and bioenergy that can displace fossil-fuel derived products. The research was funded by Science Foundation Ireland and the Irish Research Council.